No Obligation, funding pre-qualification and finance scenario. Call today and speak with an expert. The role of a finance broker seems greatly misunderstood, even by the very people who use their services. To better understand the value an appropriately qualified broker can add it’s worthwhile reviewing some recent history. As banking and finance have become ever more competitive the variety of finance options available to borrowers has grown exponentially. Sadly, at the same time the service and expertise levels offered by the finance sector have not kept pace with this increase in product offerings. Throw in ever changing staff, credit policies and loan conditions and it’s a bit of minefield for the borrower. The role of the finance broker is essentially to be the minefield guide. Of course, as things have become more complicated, time poor borrowers have relied more heavily on finance brokers and various advisors. Over the past few years there’s been an explosion in the number of finance brokers operating in the domestic market. Sadly, the qualification levels and ethics of some of these parties are, at best, questionable. As a result the lenders have almost completely stopped dealing directly with individual finance brokerage companies and have gone to an aggregator model. This means, in essence, that individual brokers belong to a larger “brand” and deal with the lenders via that particular overarching company. For large volume simple transactions like housing loans this model works fine. The lenders have intermediary divisions who solely look after transactions introduced by finance brokers. Unfortunately the process works less well for niche transactions like management rights, motels and accommodation funding. For these highly specialized transactions it’s essential that your finance broker be accredited directly with the lender and have access to the specialists within that bank. Direct accreditations are almost unheard of in the current environment and are generally only achieved in areas where the banks recognize a specific expertise within the finance brokerage business. We are delighted that our company has achieved the necessary direct accreditations to provide a seamless funding process for borrowers. 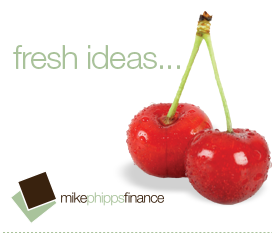 So, what should you expect from a finance broker specializing in management rights, motels and accommodation finance ? Proven industry expertise is a given, as is a long professional career in banking and finance. Qualifications and membership to professional bodies is a must. Your broker should have a substantial network of industry contacts and be able to introduce new industry entrants to a range of services and advisors. Your broker will be able to analyze your funding requirements and provide a range of possible solutions. They will personally know the management rights, motel and accommodation industry experts within the banks and have a strong understanding of credit policy and likely loan conditions. Importantly, the broker should also have a sense of the likely direction of credit guidelines within the sector and among the various lenders. Funding arrangements should reflect a long term view, not a point in time approach. The best deal today may turn into a nightmare if the lender decides to alter credit policy “on the run”. The question most people I talk to finally get around to asking is “How do you get paid”? . It’s surprisingly simple. The banks are continually looking at ways to cut costs and staff is the big ticket item. At the end of the day the use of finance brokers by lenders is simply outsourcing of the business development and credit assessment function. The banks get to source new business from a third party without the associated acquisition costs that come with employing staff. The cost savings are used, in part, to compensate the intermediaries who introduce the business. For our clients the net result is that they receive a level of technical expertise not generally available at their local bank branch combined with a singular focus on the transaction. For the lenders, working with an industry specialist intermediary assists them in better understanding the transaction, structuring facilities in a competitive and tax effective manner and ensuring there are no surprises along the way. It’s a “win win” for all concerned.